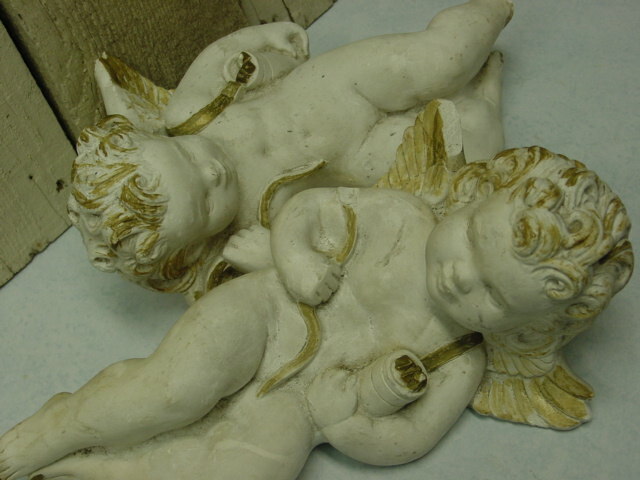 A very shabby chic pair of vintage cast plaster cherubs. 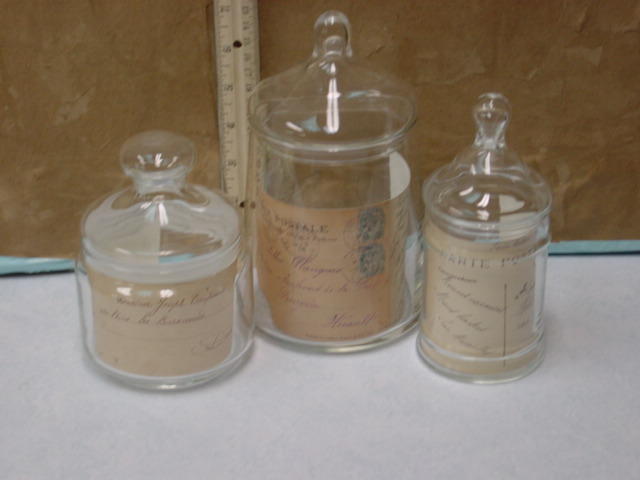 A couple of different sets of three vintage apothecary jars. 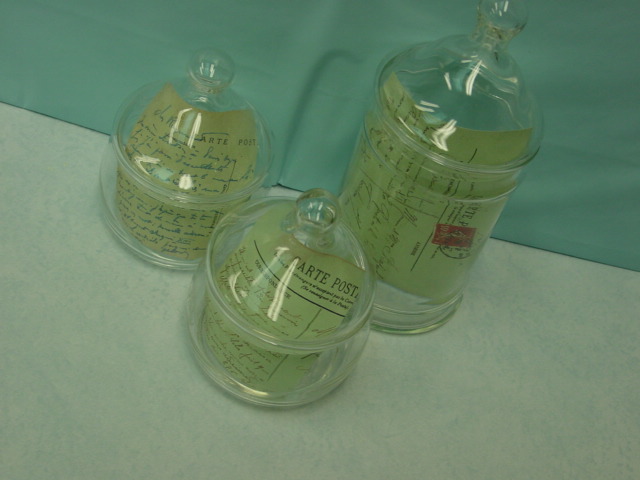 Bentwood canisters with vintage postcard labels. 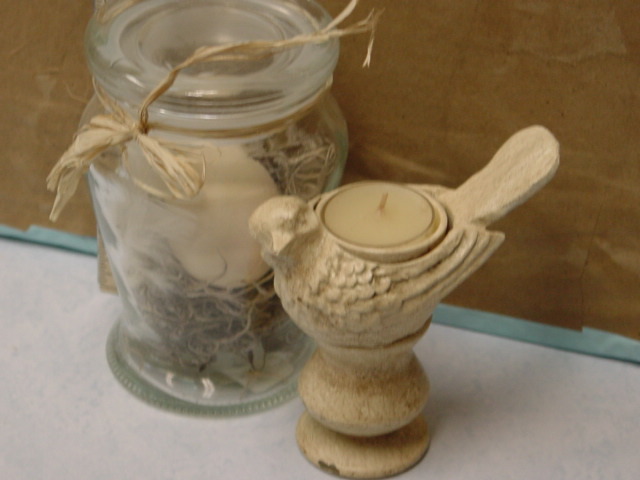 Two different tea light birds with nest in a jar. 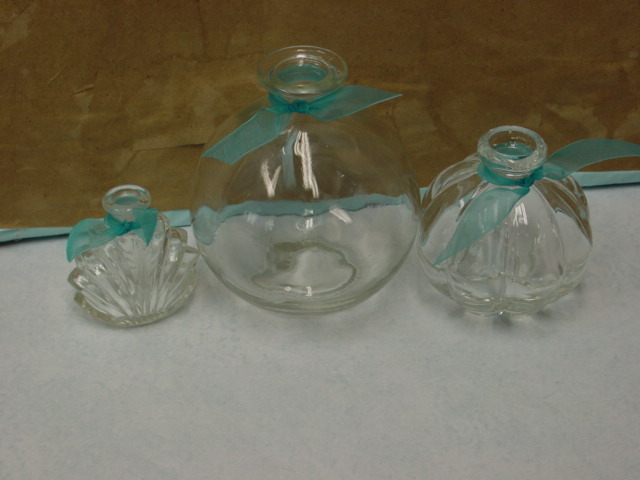 Trio of vintage pretty bottles. 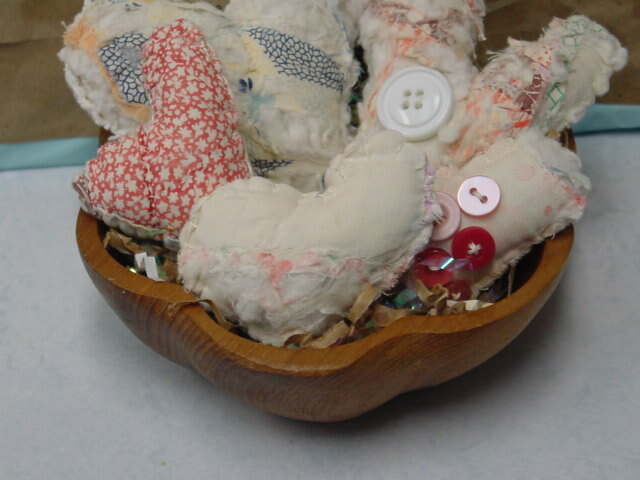 Vintage wood bowl with five handstitched vintage quilt hearts. 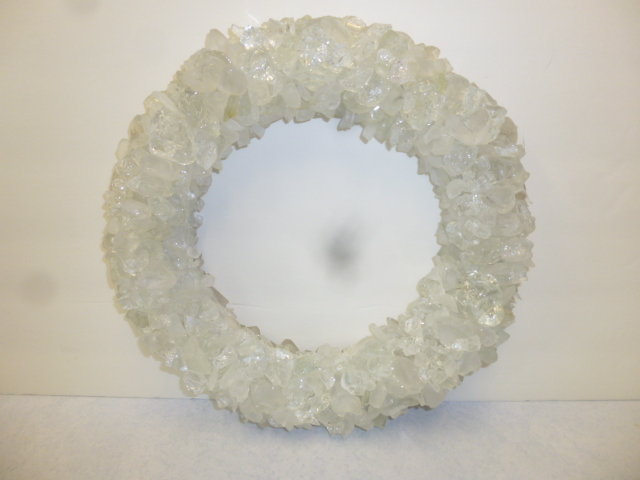 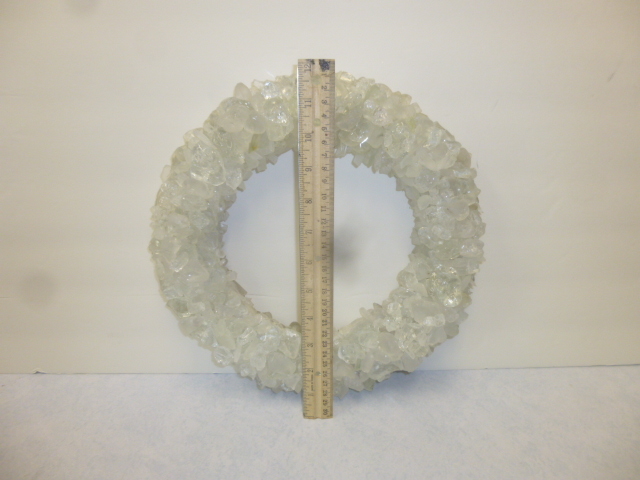 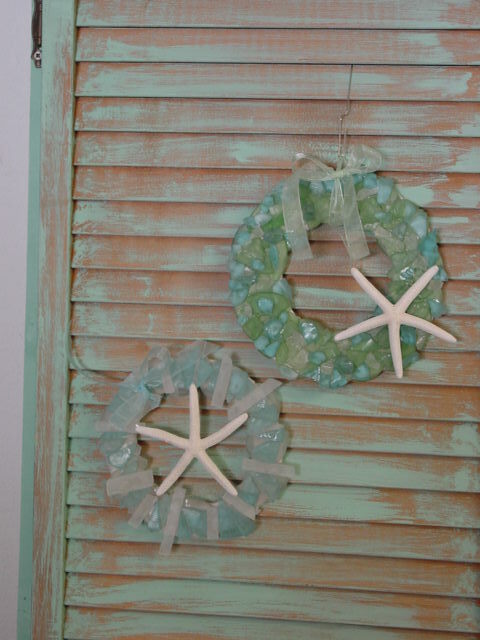 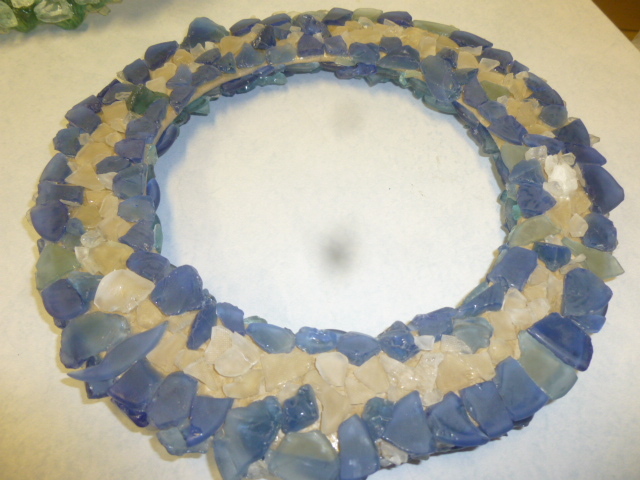 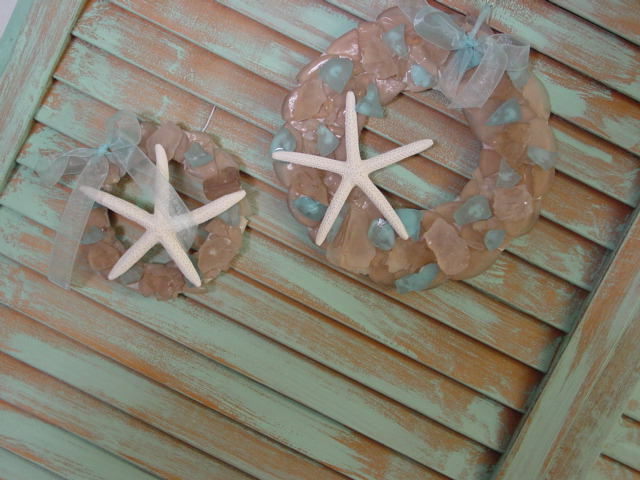 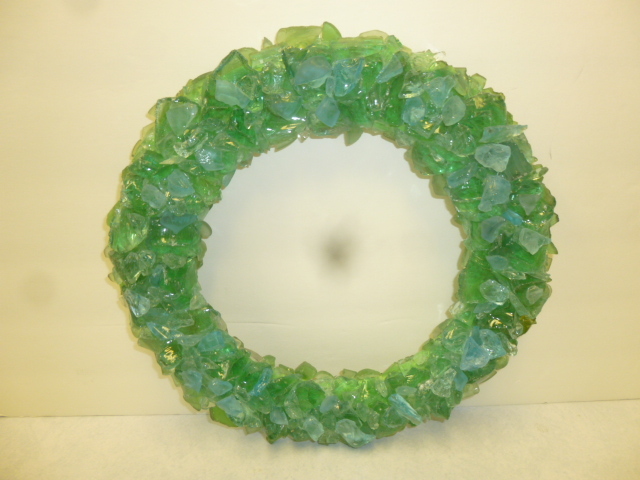 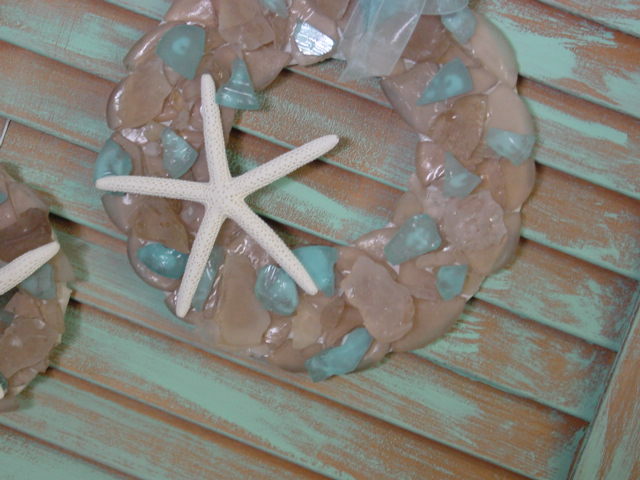 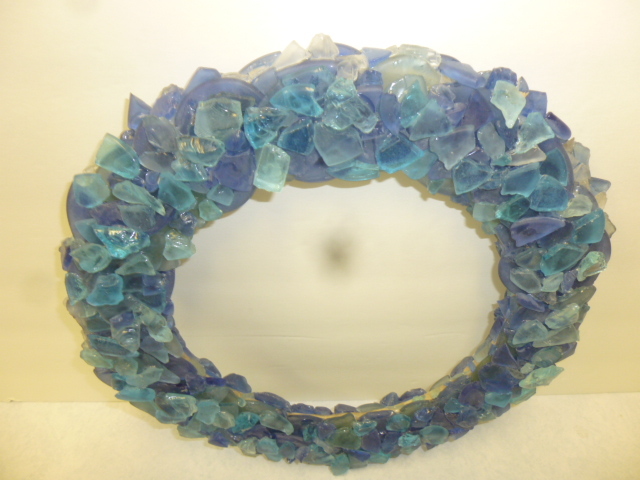 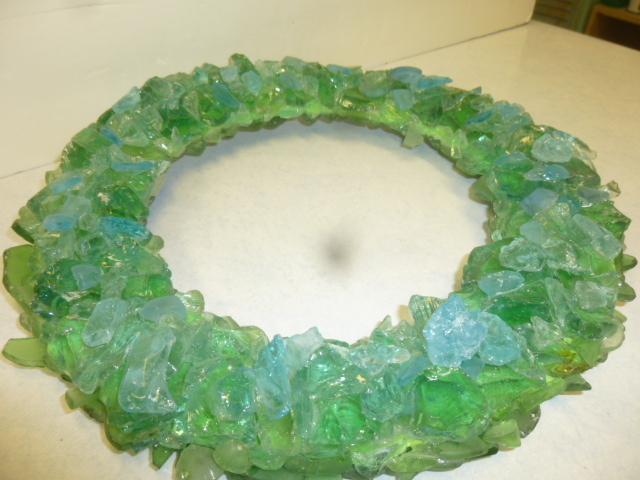 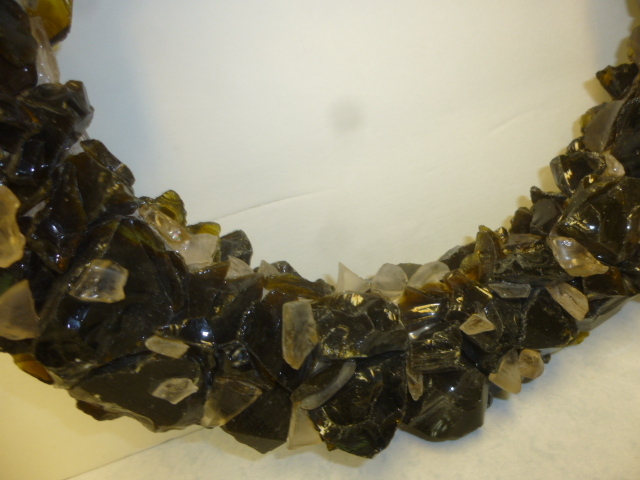 Two different sea glass wreaths. 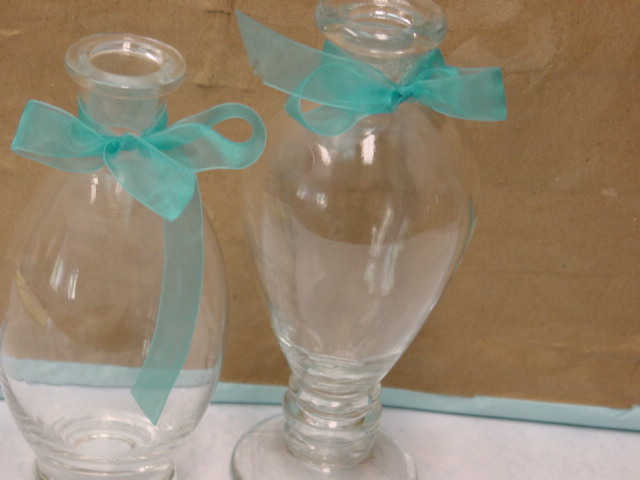 Pair of vintage clear glass vases. 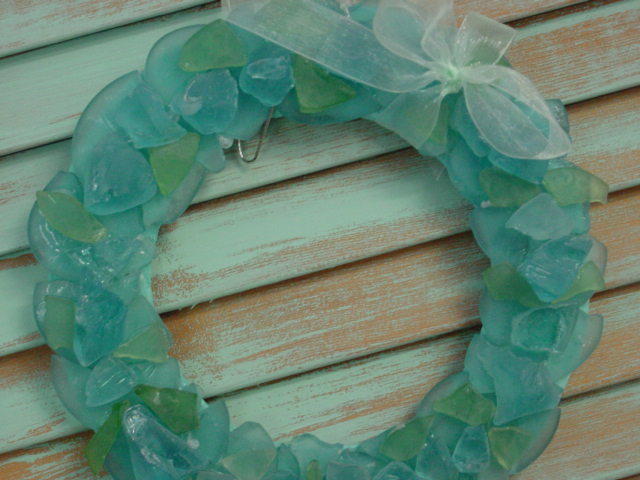 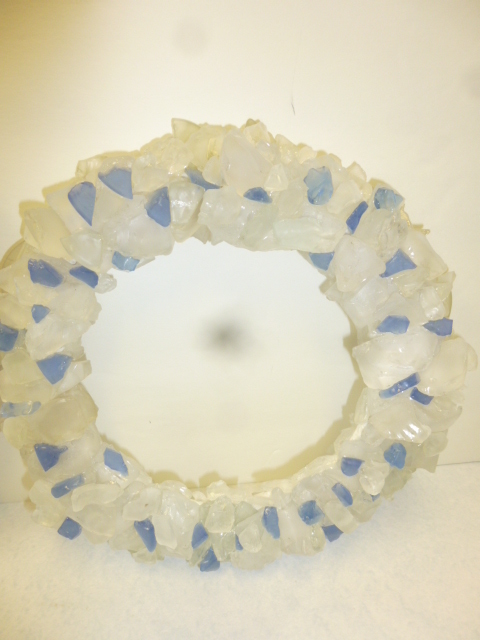 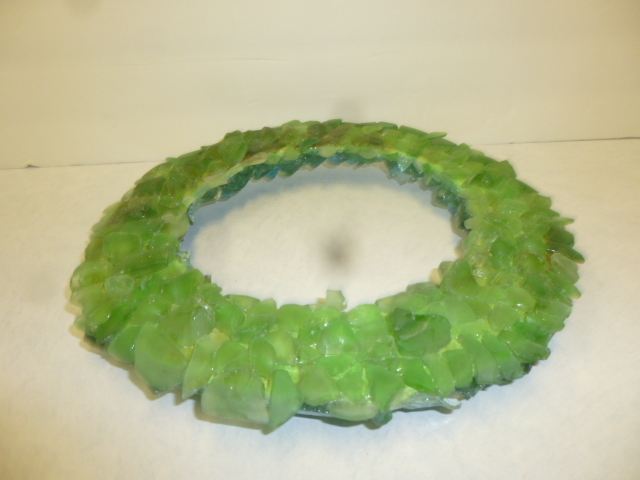 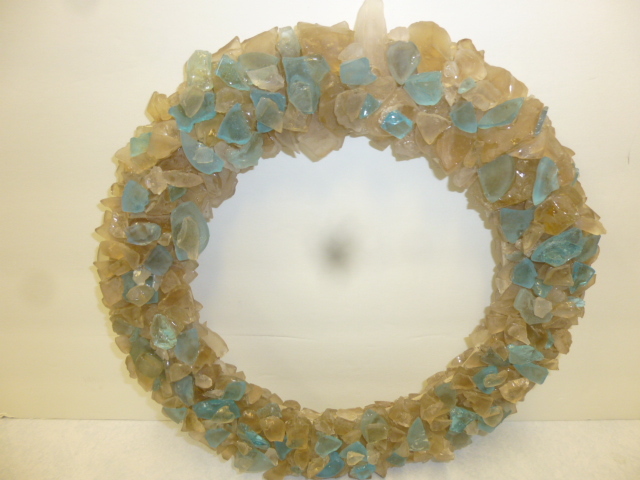 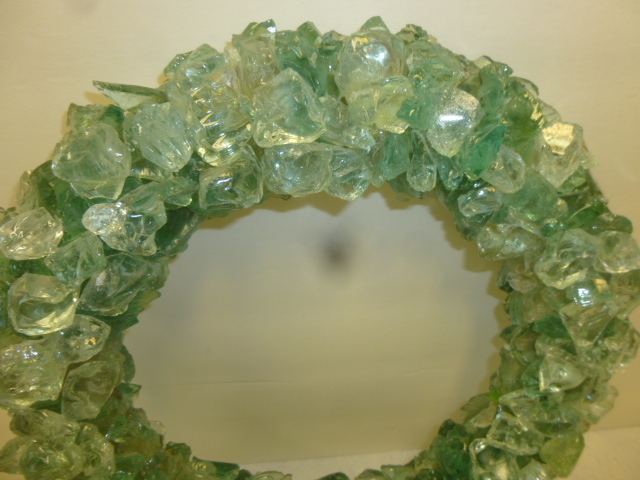 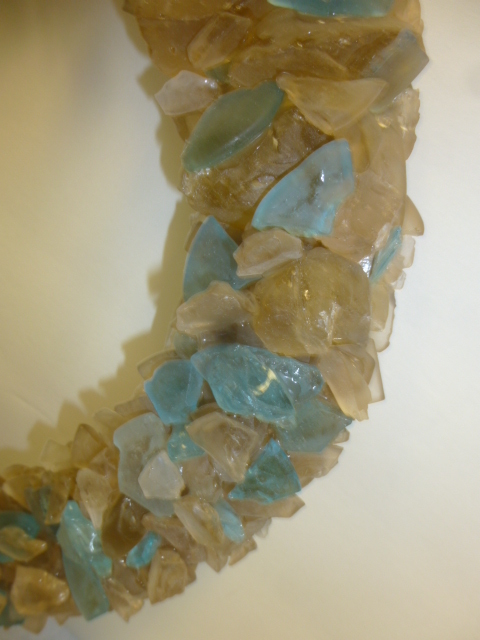 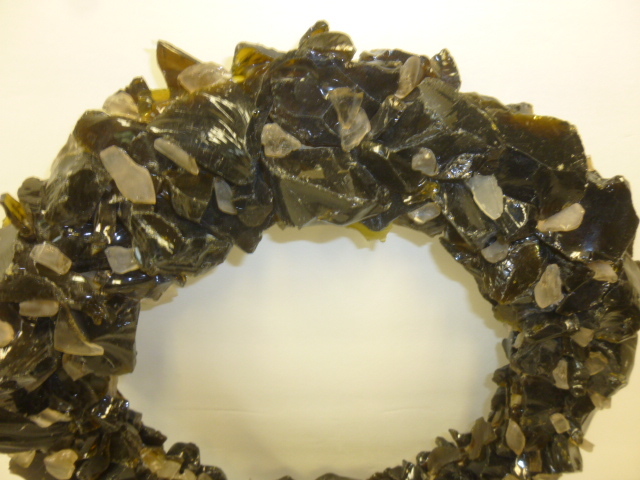 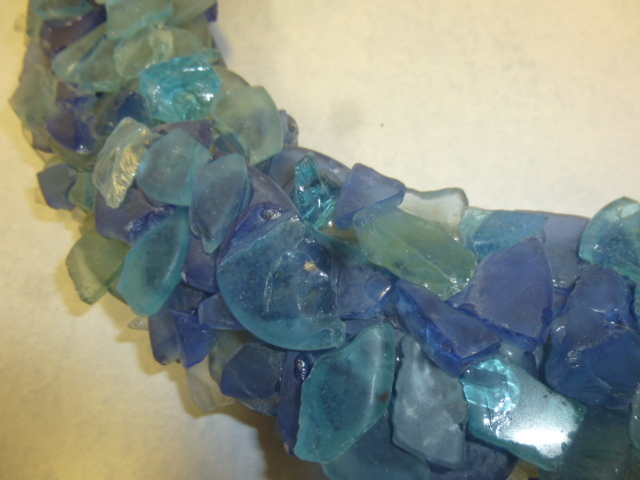 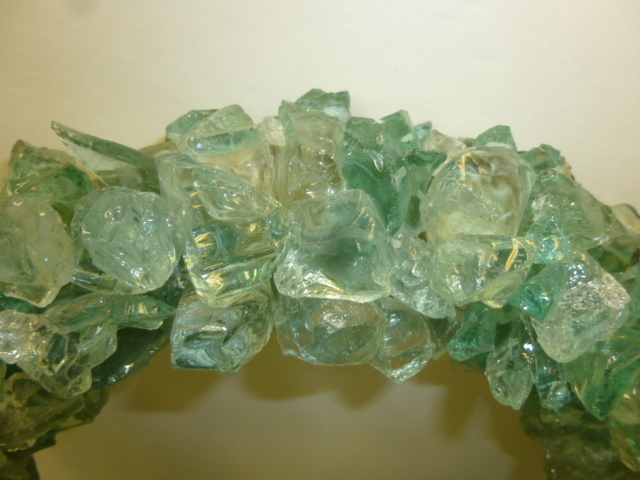 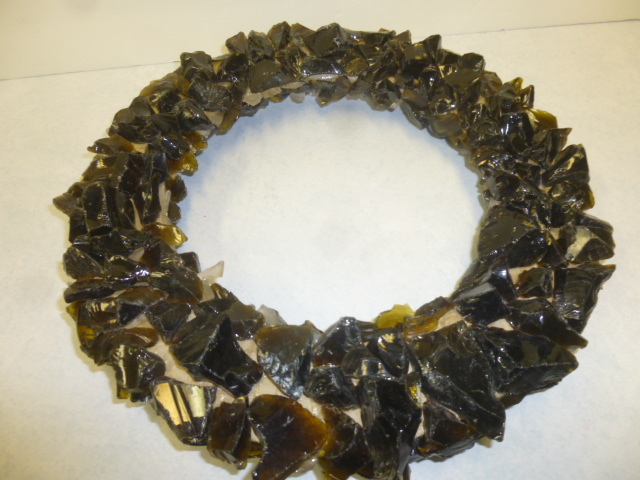 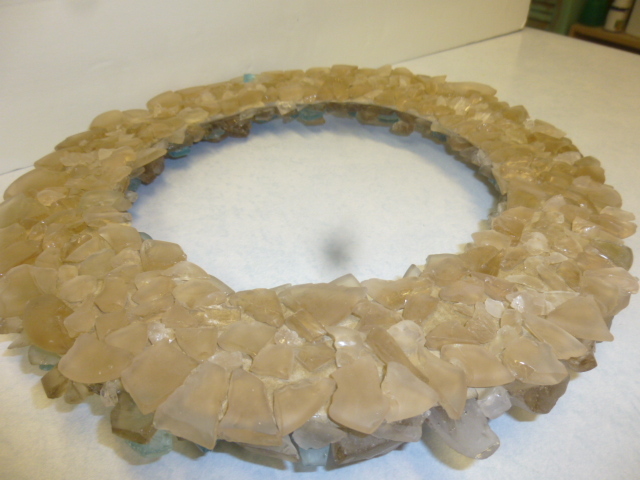 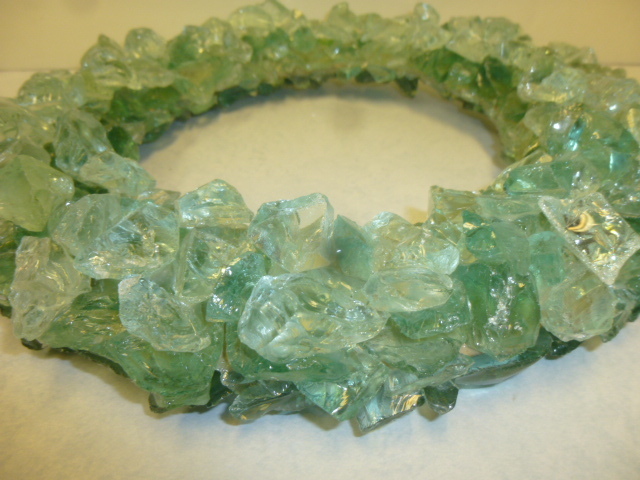 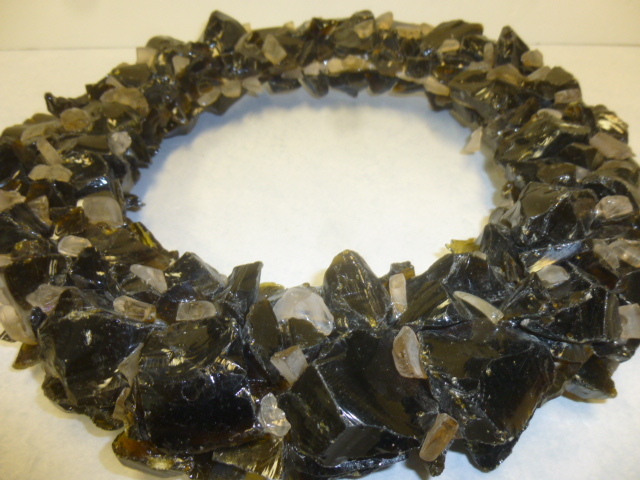 Been on a bit of a seaglass wreath ‘binge’ lately! 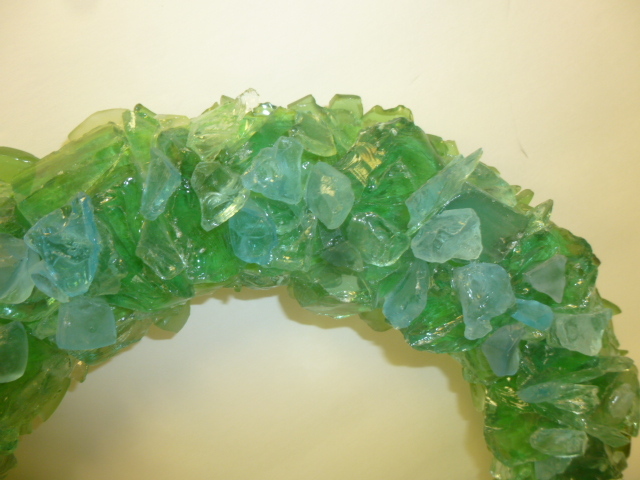 Once you start making them, they become addictive! 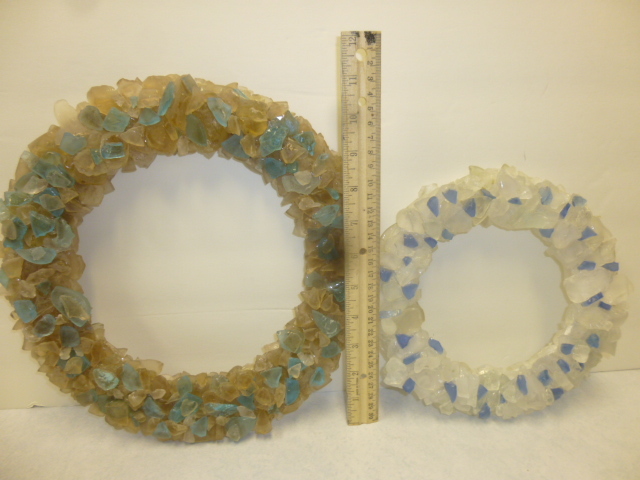 Smaller forms made from leftover cardboard from the bigger forms. 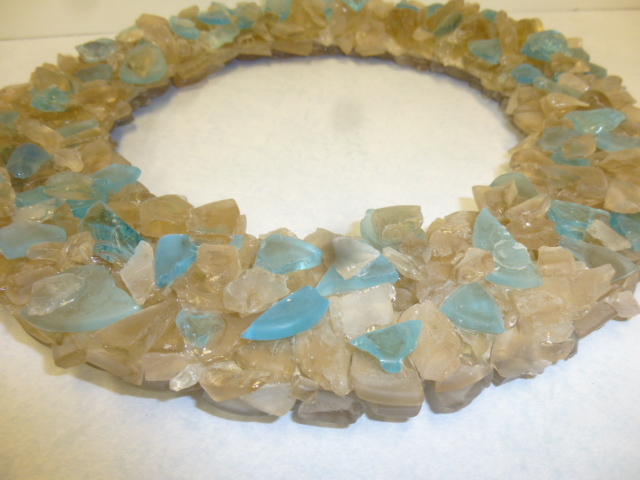 Tan glass with aqua accents. 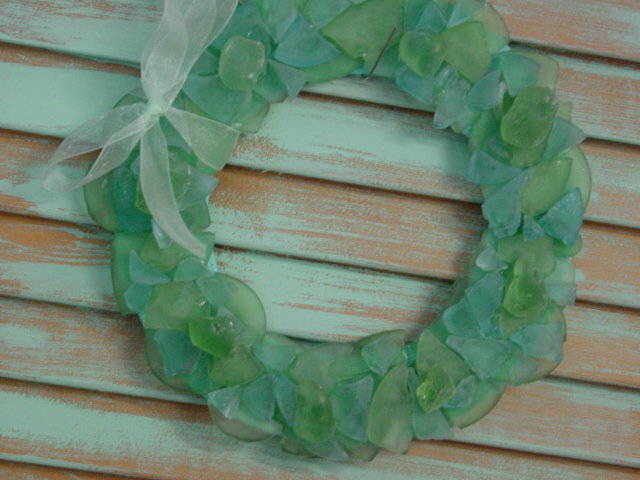 I think this is my favorite color combination. 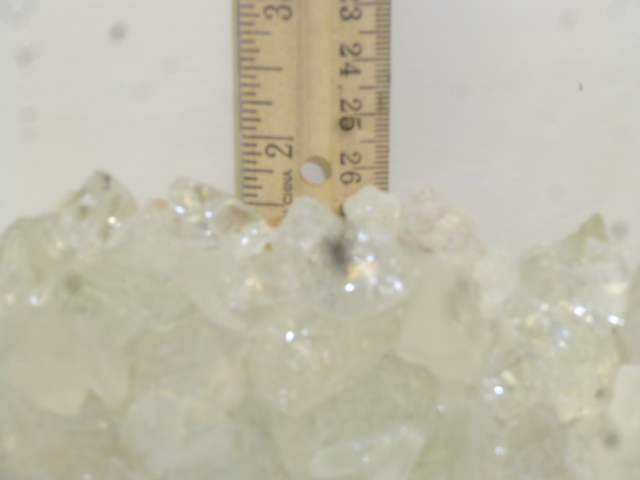 More small ones. 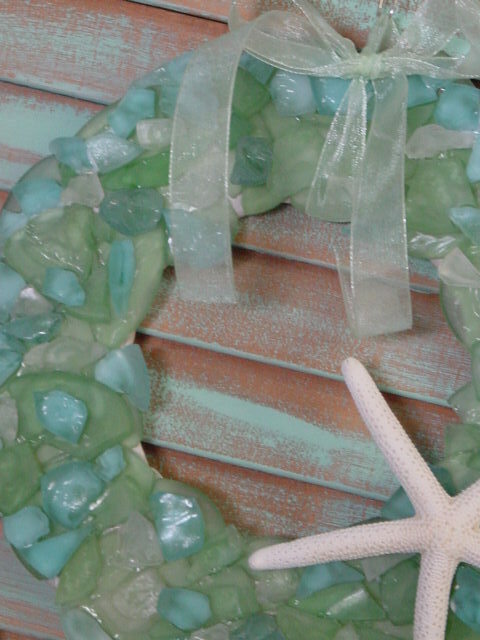 In aqua/green and aqua/white. 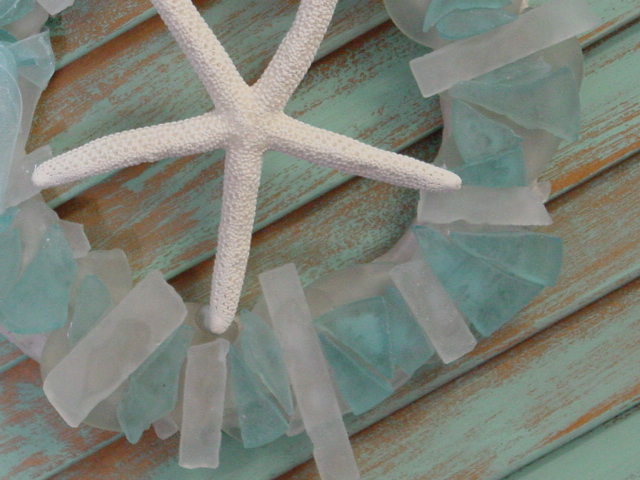 This white/aqua ones feels kind of ‘snowflake-ish’! 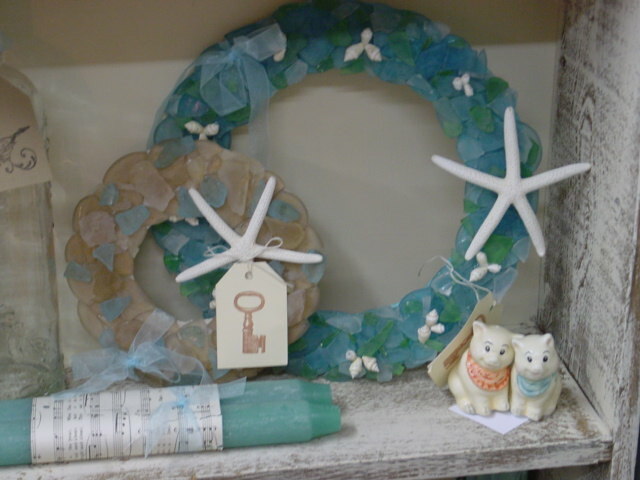 The small/medium sized ones display nicely in picture easels. 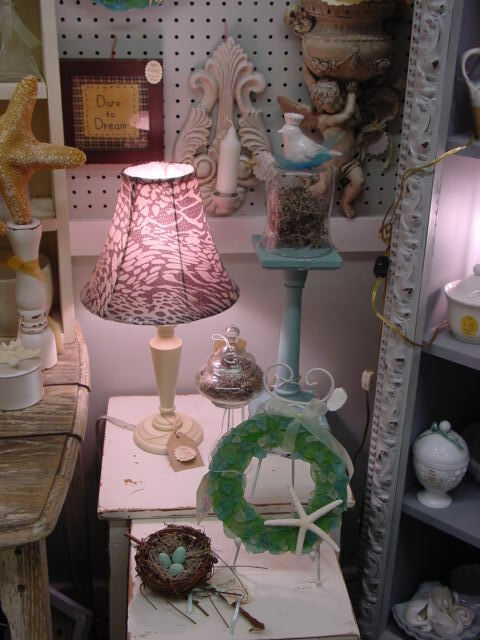 The tiniest one I just tucked into this cubby shelf. 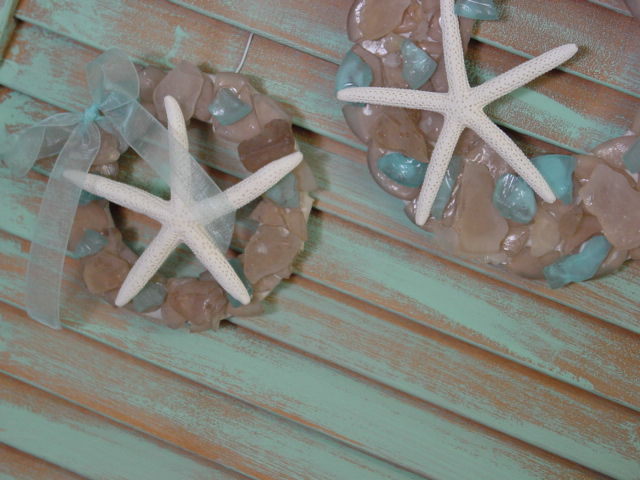 The biggest ones look nice hanging on the wall. 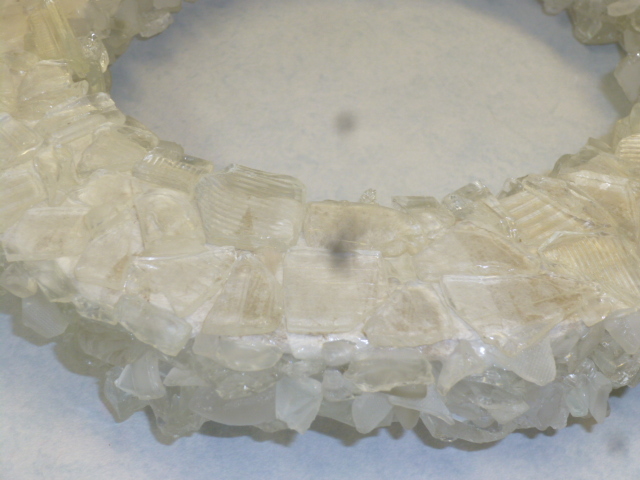 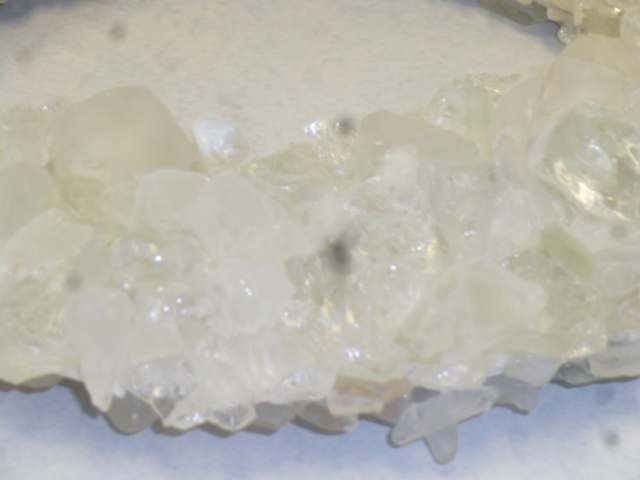 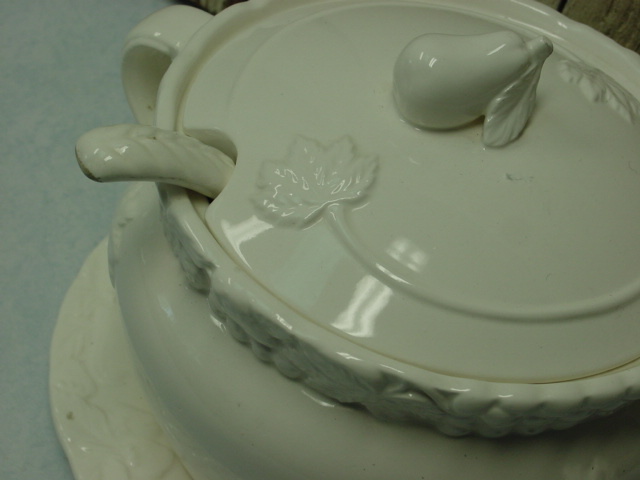 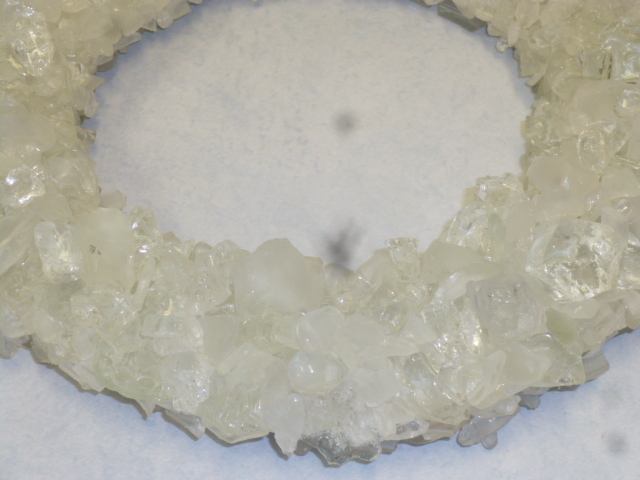 Would also be pretty set into a round tray with candles in the center. 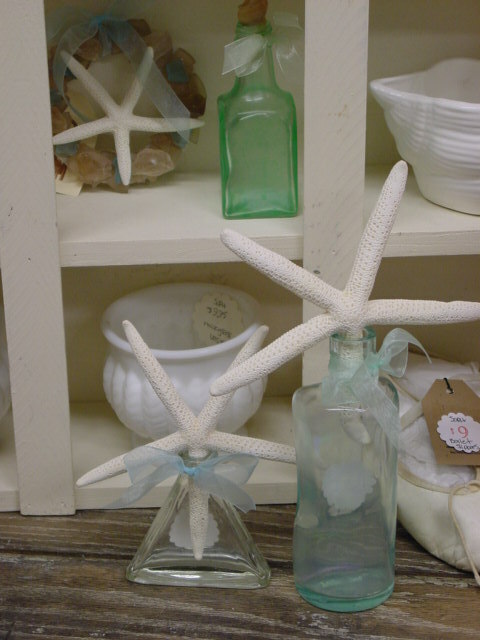 And these two just leaning on a shelf. 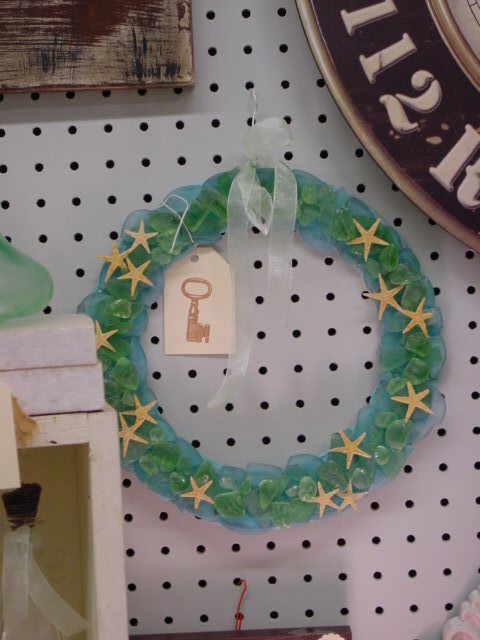 Two quick reminders first: Today is the LAST DAY of the spring craft and antiques show at the Washington County Fairgrounds; doors close at 5pm. 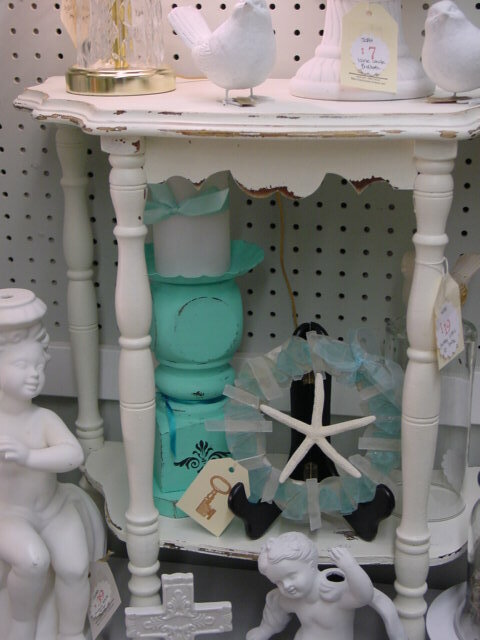 And don’t forget the Grown-ups Easter Egg Hunt tomorrow at noon at BOTH Stars antique Malls in Portland! 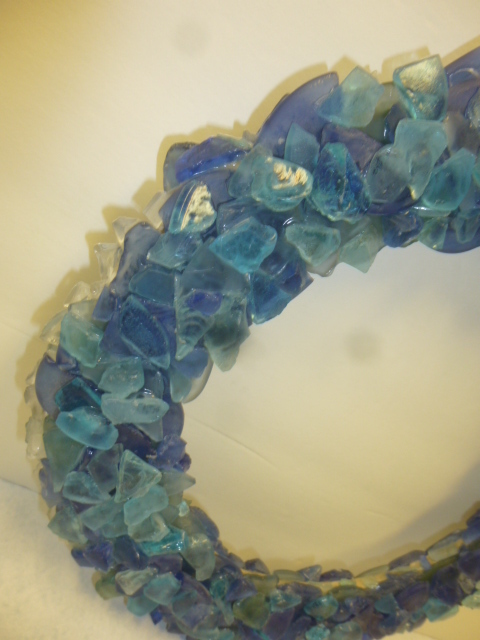 After I’ve recovered from the spring show, and have both booths restocked, I’ll be doing some SERIOUS STASH PURGING, and listing LOTS more stuff on etsy. 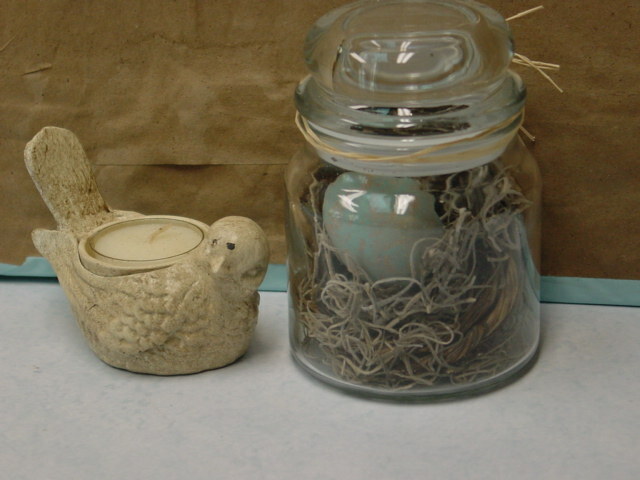 Will be getting rid of ALL my grubby candles and all the primitives left over from the show. 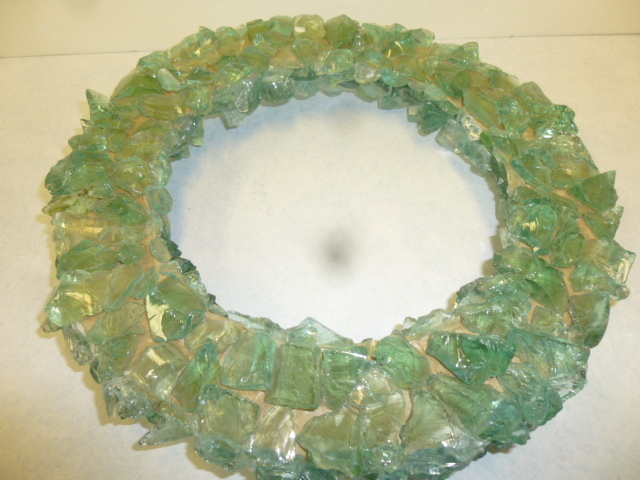 To make the most of the high cost of shipping, I’ll be FILLING ‘flat rate priority mail boxes’ and selling the contents as a ‘grouping’ of items. 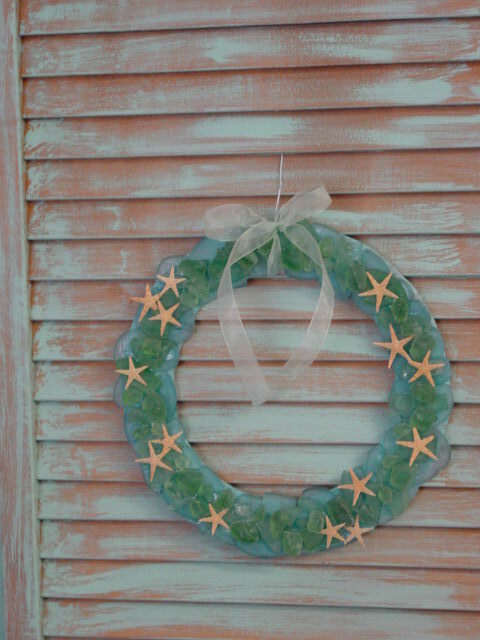 If you aren’t already subscribed to my blog; this would be a good time to do so! 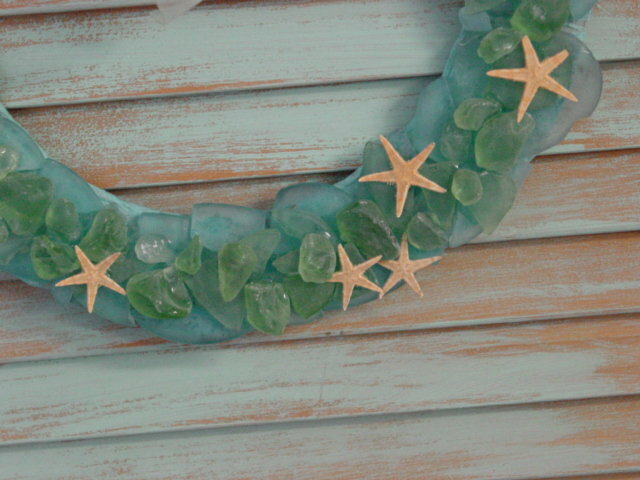 Beach glass and seashell candle scape.